Chairman of the parliamentary committee for industrial policy and entrepreneurship (Deputy Head of the Liashko Radical Party for Economic Policy) MP Viktor Halasiuk has said that a special investigation into growth of imports of ferrous metals to Ukraine by 25% should be conducted and he advocates the introduction of safeguard measures for the supplies of ferrous metals from China, Turkey, Russia and other countries. 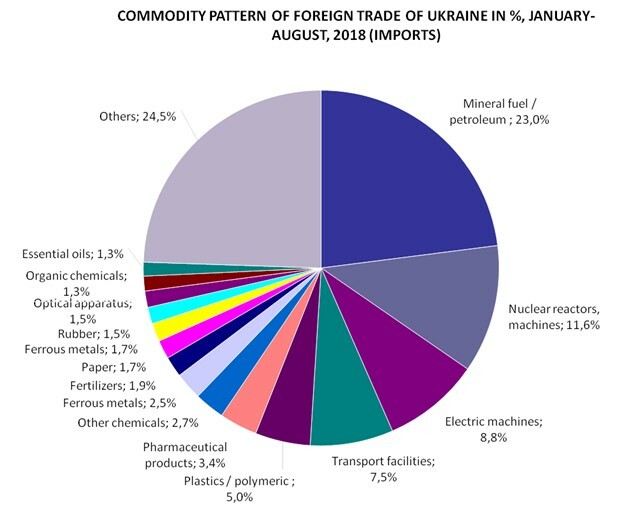 “The Radical Party demands from the government and the Ministry of Economy to immediately conduct a special investigation into the unprecedented 25% growth this year in imports of ferrous metals and products from Ukraine. In addition, the people’s deputies insist on the introduction of preventive measures to protect Ukrainian metallurgy from predatory imports from China, Turkey , Russia and other countries,” the industrial policy committee said in a press release of with reference to Halasiuk. 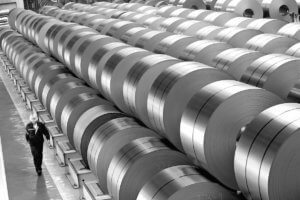 According to him, the closure of the largest global markets and the intensification of the struggle for existing sales markets for metal products is a real threat to the Ukrainian industry and economy. At the same time, imports of ferrous metals in Ukraine have already grown by 25%, therefore, hundreds of thousands of jobs in the mining and metallurgy sector and related industries are under attack. 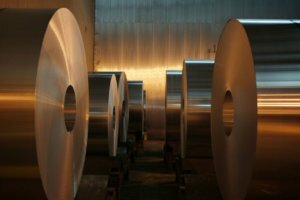 “We demand urgent measures to prevent the growth of imports of metal products from China, Turkey, the Russian Federation and other countries that are fiercely fighting for new markets for their products. It is also important to lobby for access of Ukrainian metal products to foreign markets, including through the export credit agency,” Halasiuk said, stressing that the United States, Canada, the EU, China, EurAsEC, Turkey, some African countries and others actively protect the domestic market of metal products from imports, increasing imports duties by 25% and more. “Governments of the world’s largest economies are taking all possible and impossible measures to protect their own producers of metal and metal products,” he said. Ukraine increased imports of coal and anthracite coal (HS code 2701) by 15.5%, or 2.343 million tonnes, in January-October 2018 year-over-year, to 17.426 million tonnes. 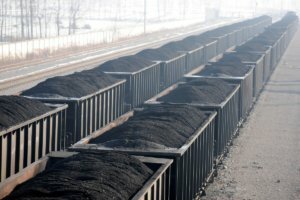 Coal shipments over the period under review were estimated at $2.461 billion, which was 14.4% more than in January-October 2017 ($2.151 billion), Ukraine’s State Fiscal Service said. In particular, coal bought from the Russian Federation (62% of all imports) was estimated at $1.526 billion, from the United States (30.04%) at $739.278 million, Canada (5.16%) at $126.946 million, and other countries (2.8%) at $68.889 million. In addition, Ukraine in January-October 2018 exported 56,223 tonnes of coal and anthracite to the tune of $8.355 million, including to Russia ($4.597 million), Slovakia ($3.201 million), Moldova ($0.454 million), and other countries ($0.103 million). As reported, Ukraine plans in 2018 to increase import of steam coal by 11.3% compared to 2017, to 5.669 million tonnes. In particular, it plans to buy 4.882 million tonnes of coal from Russia (a rise of 29.6% from 2017), 664,000 tonnes from the United States (a rise of 47.7%), and 123,000 tonnes from South Africa (a fall of 83.8%). In 2011, Ukraine’s coal and anthracite imports totaled $2.761 billion and exports $775.109 million, in 2012: $2.637 billion and $609.392 million, respectively. These indicators in 2013 were $1.974 billion and $737.009 million, respectively, in 2014: $1.773 billion and $521.017 million, in 2015: $1.632 billion and $53.651 million, in 2016: $1.467 billion and $44.762 million, and in 2017: $2.744 billion and $105.494 million, respectively. 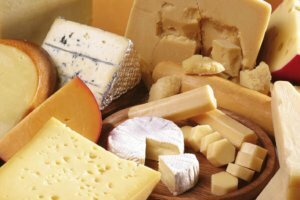 Ukraine in January-September 2018 exported 6,050 tonnes of cheese, which is 7.8% less than in the same period of 2017. According to customs statistics, promulgated by the State Fiscal Service, in monetary terms exports amounted to $22.5 million, which is 2.3% less than in the nine months of 2017. At the same time, imports of cheese in January-September 2018 amounted to 9,200 tonnes, which is 35.6% more than in the same period of 2017. In monetary terms imports increased by 44.6%, to $44.9 million. In January-September this year, exports of butter from Ukraine increased by 9%, to 23,250 tonnes. In monetary terms this figure increased by 16.3% and amounted to $100.1 million. According to the State Fiscal Service, butter imports rose by 2.1 times, to 780 tonnes ($5.4 million). In January-September exports of milk and cream (condensed) decreased by 21.5%, to 29,200 tonnes. Ukraine supplied condensed milk and cream for a total of $48 million against $63.8 million in January-September 2017. Imports of this group of goods increased by 1.6 times, to 1,630 tonnes ($3.96 million). Ukraine has resumed imports of natural gas via Slovakia, suspended from October 2 through October 6 over the scheduled repair works. According to Slovakia’s Eustream transmission operator, gas supplies on October 7 totaled 23.6 million cubic meters (mcm), which is slightly lower than average imports in September. The application for October 8 is also 23.6 mcm. 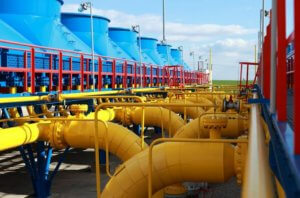 As reported, according to the schedule of repair, the second section line of the Dolyna-Yuzhgorod-state border gas pipeline is being repaired, in particular, at compressor stations Dolyna, Rososh, KS-1 and KS-2 Yuzhgorod. Ukraine in January-September 2018 reduced import of natural gas by 24.7% (by 2.640 billion cubic meters, bcm) compared to the same period in 2017, to 8.065 bcm. Imports from Slovakia during this period amounted to 5.017 billion cubic meters of gas (36.4% less compared to January-September 2017), from Hungary to 2.509 billion cubic meters (27.9% more), Poland to 538.7 million cubic meters (37.4% less). Ukrtransgaz, fully owned by Naftogaz Ukrainy, operates a system of trunk gas pipelines and 12 underground gas storage facilities in the country.